It is a good time for people who happen to be fans of Goichi “Suda51” Suda. The designer is working on something involving No More Heroes’ Travis Touchdown for the Nintendo Switch. The 25th Ward: The Silver Case, The Silver Case’s sequel, is getting a remade. Even Sine Mora is making a comeback as Sine Mora EX. Suda51 is someone whose games you should know. Fortunately, Michibiku is here to help! While we identify Suda51 with Grasshopper Manufacture, the studio he founded, that wasn’t where he got his start. His origins lie with Human Entertainment, a now defunct studio known for Fire Pro Wrestling, horror and racing games. In fact, Fire Pro Wrestling is where he got his start. It was in this series that he first was able to write scenarios. 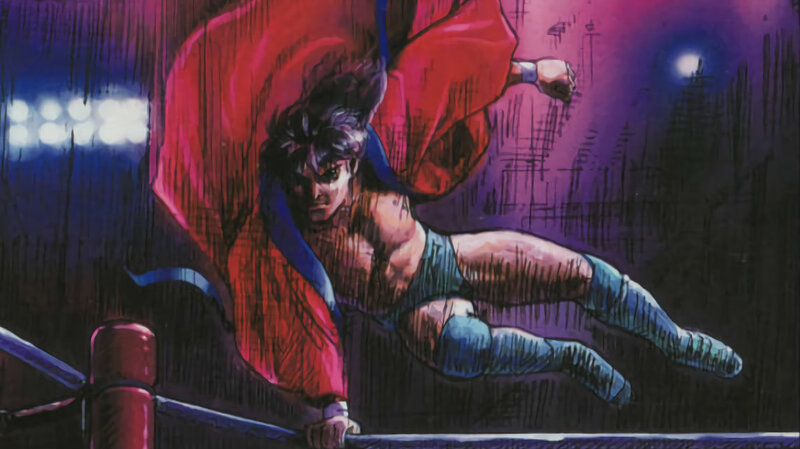 Super Fire Pro Wrestling 3: Final Bout, which appeared on the Super Famicom in Japan in 1993, was his first endeavor. A year later, he would go on to write Super Fire Pro Wrestling Special, also for the Super Famicom. (This game’s story gets incredibly dark, with death and suicide appearing frequently as topics.) Unfortunately, neither of these games were released in English and no fan translations exist, but they are easy to import and play since they are wrestling games and don’t have insurmountable language barriers. 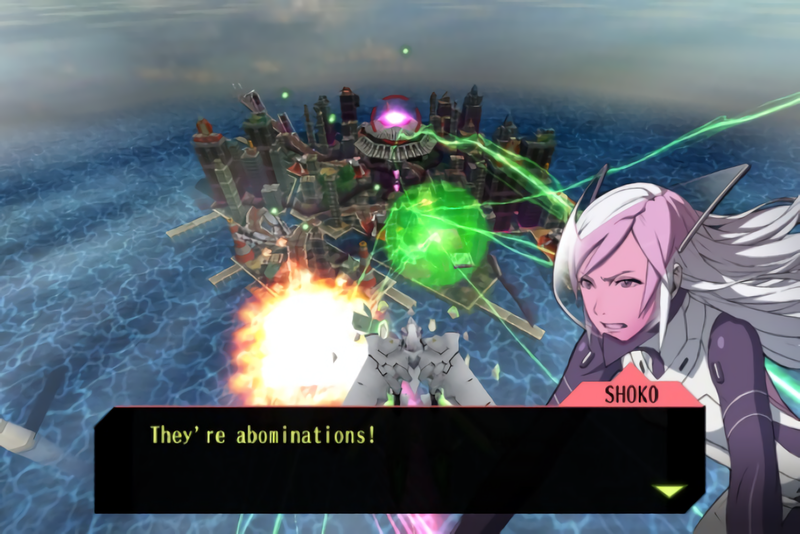 Unfortunately, Suda51’s other Human Entertainment games are not import-friendly. He was involved with a few entries in the Twilight Syndrome series. To be specific, he worked on Twilight Syndrome: Search, Twilight Syndrome: Investigation and Moonlight Syndrome. These are text-heavy visual novels where players need to make smart decisions to properly get through chapters, manage their characters’ fear levels and keep them alive. All three were released on the PlayStation in Japan between 1996 and 1997. None have received fully comprehensive fan translations, though you can visit Izzeybee Translations for a guide to Moonlight Syndrome’s first five chapters. Once his time with Human Entertainment was done, Suda51 created his own studio. This is where things really get interesting. While his influence over games at the previous studios may not have always fully shaped each creation, the Grasshopper Manufacture titles are far more detailed. It is here that Suda51 was able to have more control over his products. We see him get to design, direct, produce and write games. As a result, each one takes on a rather unique style. The character designs and scenarios give them away. This doesn’t mean all Grasshopper Manufacture games remain so distinctive. While the company is known for its original IPs, it also has worked with other developers on games tied to popular series. 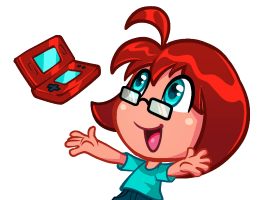 For example, it shared responsibilities with Nextech for the Game Boy Advance Shining Soul games released in 2003 and 2004. When anime series like Blood+, Rebuild of Evangelion and Samurai Champloo needed games, Bandai Namco turned to Grasshopper Manufacture for Blood+: One Night Kiss, Rebuild of Evangelion: Sound Impact and Samurai Champloo: Sidetracked. It even played a part in the development of the fourth Fatal Frame game for the Nintendo Wii, Mask of the Lunar Eclipse. This brings us to the Suda51 games you really should know. There are over 20 Grasshopper Manufacture games out there, not counting the remakes and updates. Not all are going to be exemplary examples of the studios’ work. 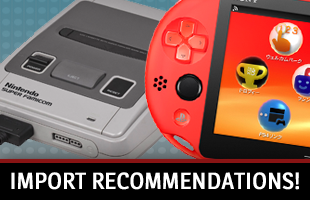 These are some of the most important titles people should make time to learn about and perhaps play. The Silver Case is Grasshopper Manufacture’s first game. It hasn’t aged well. However, it is an important part of Suda51 history. He designed, directed and wrote this game. 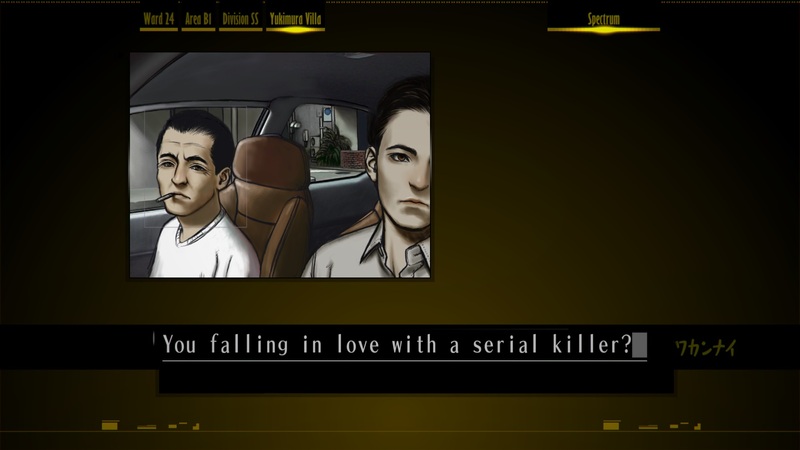 It connects to Flower, Sun, and Rain, a much superior adventure game, and is followed by The 25th Ward: The Silver Case. In this adventure, players follow police officers and a journalist as they uncover the secrets behind a serial killer that has reemerged years after a horrifying incident. By the way, we’ve reviewed the remake. Do you enjoy stories that involve characters attempting to escape a time loop? Sumio Mondo is a Searcher who is trying to stop a bomb from blowing up a plane. He does not manage to do it, and thus finds himself trapped living the same day of the explosion over and over on Lospass island. It is up to players to solve puzzles and break the loop. The h.a.n.d. Nintendo DS remake ended up receiving a worldwide release. A survival horror game that follows a ZaKa TV news crew that investigates the supernatural, Michigan: Report from Hell is special for a number of reasons. First, it is a horror game. Suda51 doesn’t enjoy making them, so that makes it a rarity. Second, it was released in Australia, Europe and Japan. For some reason, it skipped North America. Finally, you are using your “camera” as you play, which means your game ends when your “film” runs out. Killer7 might just be one of Suda51’s most famous games. Harman Smith is an assassin with Multifoliate Personae Phenomenon. This means he has absorbed the souls of seven assassins and can transform into each of them to complete missions. It is lauded for its film noir, cel-shaded graphics, unconventional gameplay that allows it to play like an action/adventure game and on-rails, first-person shooter and story. Contact is a Nintendo DS RPG where players are not the main character. Rather, you are an outside force controlling the main character, Terry, to complete objectives. Your goal is to help him get batteries for a Professor and keep them from the Cosmic Nihilist Organization for Terror (CosmoNOT). What is interesting is the Professor talks to you as you play, Terry can earn courage, fame and karma that influence relationships with NPCs and you collect costumes for Terry that influence his abilities. If you didn’t know Suda51 because of Killer7, then you know of him due to the No More Heroes series. Travis Touchdown is a rather ordinary guy who loves anime, video games and wrestling and is barely squeaking by. After getting a beam katana in an auction, he realizes he is out of money. He takes an assassination job that ends up making him the eleventh ranked member of the United Assassins Association. It is a hack-and-slash game with a relatively large world to explore and an array of diversions. 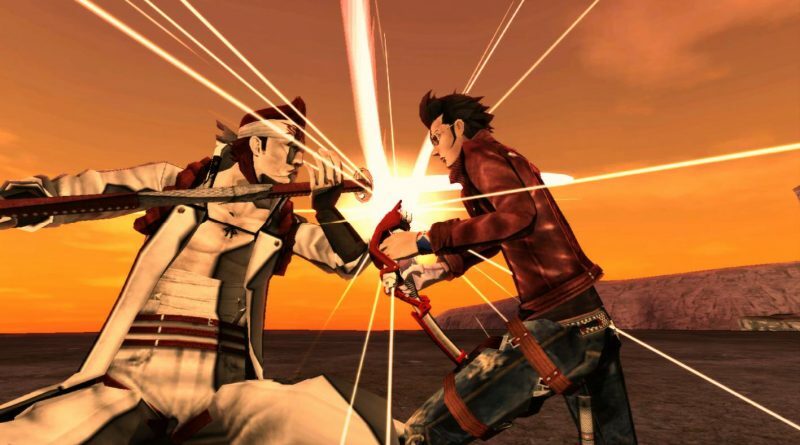 The Wii-exclusive sequel, No More Heroes 2, begins with Travis coming back to the assassin life after taking a break and finding himself ranked fifty-first in the organization. In 2012, Level-5 did something rather neat. 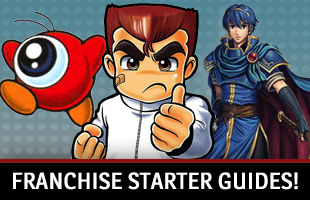 It created Guild01, a compilation of short games created by famous developers and people for the Nintendo 3DS. Liberation Maiden was Grasshopper Manufacture’s contribution. In this shooter, the President of New Japan, a high schooler, uses her mech suit to fight off an invasion. It is quirky and weird in a good way.